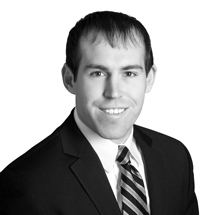 Allen joined Smith, Salley & Associates in January of 2017 and works as an associate financial counselor. Allen primary role is to support the team of financial advisors with all aspects of client relationships. This includes building retirement plans, coordinating account reviews and daily client service. Allen has completed the prestigious CERTIFIED FINANCIAL PLANNER® designation. Prior to joining Smith Salley, Allen spent two years with a wealth management firm in Northern Virginia. Allen grew up in Chesapeake, VA and in 2014 graduated from the Pamplin College of Business at Virginia Tech University with a B.S. in Business and a focus in financial planning. Allen currently resides in Winston-Salem where he enjoys golfing, hiking, and attending as many Virginia Tech sporting events as possible.